The Imitation Game is the based-on-a-true-story tale of Alan Turing, the inventor of the modern computer, and thus a man who has irreversibly changed the world. With such a fascinating subject, it's easy to get lost in the historical curiosities of this enigmatic man and miss the fact that what's actually on screen is a fairly dull and safe biopic. The problem is that it's just too formulaic and inoffensive with the way it relates the details of Turing's life. It never takes a position on anything it presents. I went to see it with a group of friends, and after leaving the theater they were all immediately on their phones trying to find out more about this mysterious genius. This is a perfect example of what's wrong with the film: rather than becoming engrossed in its own telling of the story, we felt more compelled to search out the historical details on our own terms. We weren't talking about how the movie itself presented the events, we were talking about all the stuff outside the movie which it failed to mention. Hey, this is actually pretty interesting! They should make a movie—oh. Oh well. The irony is that the movie seems to recognize its own apolitical nature, and, in order to compensate, it attempts to cram in a message at the end with that condescending over-screen text everybody hates. "The government was evil, but one good man stood up and changed the world!" Stop, you're just making it worse. 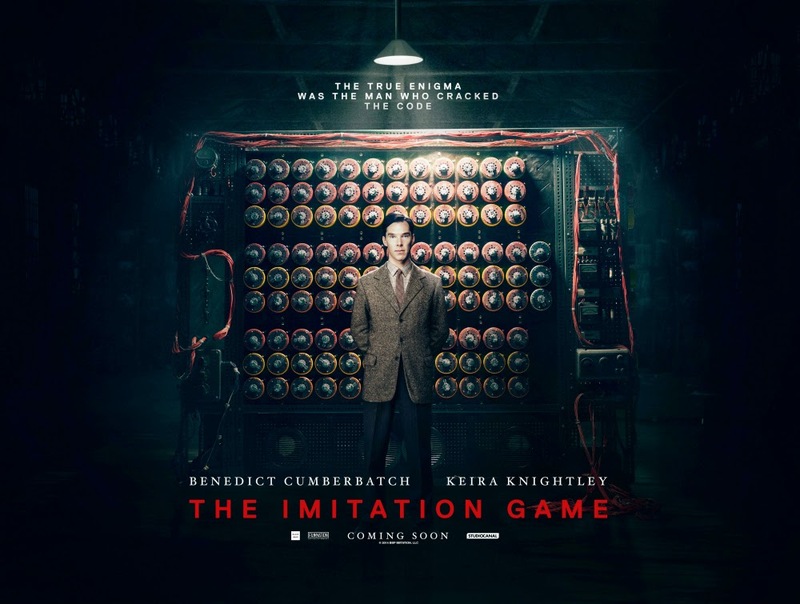 At its core, The Imitation Game is just another tale of human exceptionality. Beyond the repeated line about "the people no one imagines anything of," there's also a lot of talk about how Turing is a "small cog in a large machine." The basic theme of the film is that one man can make a difference in the world, and in this sense The Imitation Game is not much different than Captain America (except perhaps in that it takes place in Britain and there's a noticeable lack of aircraft crashing into buildings). But even at this level the film doesn't hold together. Consider its portrayal of the military: the first half of the film cross-cuts Turing's actions with various armed conflicts, reminding us that soldiers were constantly sacrificing themselves overseas while he worked. As much as the film tries to convince us that Turing is a small piece of a big puzzle, these montages show how he's not even part of the puzzle to begin with. The soldiers are the puzzle pieces, and Turing's work essentially invalidates their sacrifice (the war was won not on the ground but at home, in the offices of the code breakers). I used to feel guilty for not enjoying this kind of "real" movie while falling head-over-heels for the "mindless" nonsense of sci-fi/action. But you know what? At least The Winter Soldier had something to say about drone strikes. The Imitation Game is a movie about real life that doesn't have anything to say about it. It has a strong central performance from Benedict Cumberbatch though, so you can expect to see it nominated for a variety of Globes, Oscars, etc. in spite of its mediocrity.